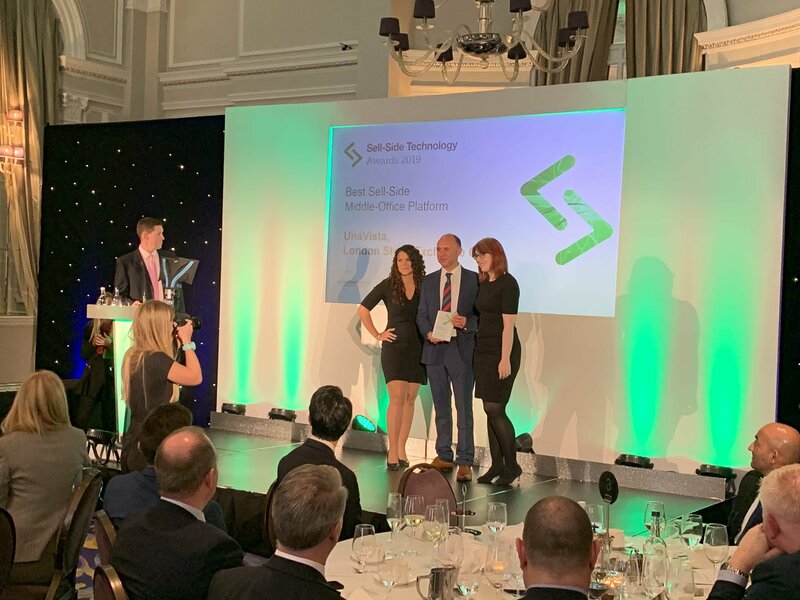 UnaVista was delighted to pick an award at the annual Sell-Side Technology Awards 2019 on Friday 12 April. UnaVista won the Best Middle-Office Platform of the Year, for the regulatory reporting services it offers to the market for EMIR, MiFIR and SFTR. This is the second year in a row that UnaVista has won the prestigeous award. The awards celebrate market-leading technologies developed for sell-side firms that allow them to operate more efficiently, more transparently and more judiciously. A number of UnaVista's technical team were on hand to collect the awards at the ceremony in London.